What is the true meaning of confidence? There have been many times when I’ve heard the word confidence and cringed. I also remember feeling insulted when a relationship coach years ago told me that we should work on my confidence. And yet, why did parts of myself give confidence such a bad wrap? Why was I having these reactions? Unpacking this, I realized part of this was because when I examined the word confidence, it drudged up all these past memories of when I felt insecure, less than and unconfident. Hearing and seeing the word confidence was like poking a finger into an open wound. Especially when I all I wanted was to feel better and have all the things it appeared that confident people had. However, I learned repeatedly that it didn’t matter what I tried to fix on the outside or how much I tried to change my thinking, I always ended up feeling more ashamed of myself. Another reason demystified: I’d unknowingly glazed over the experience of confidence with the projections of cockiness, popularity and superficiality. 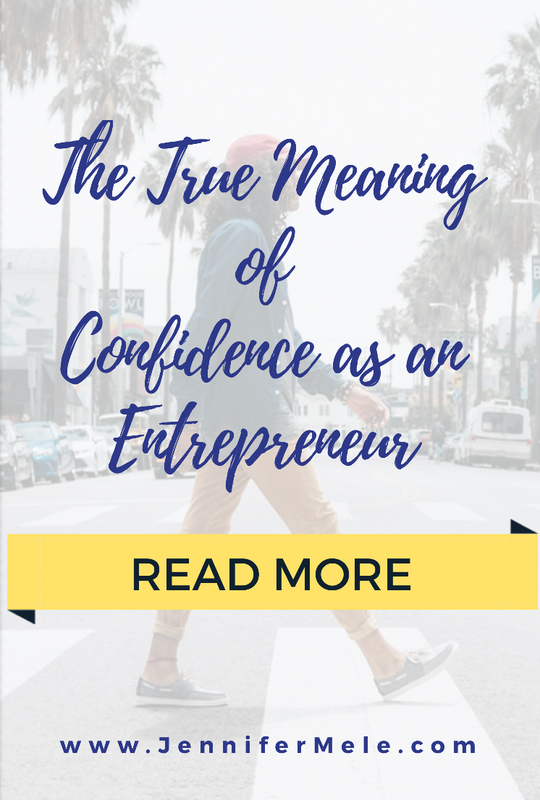 For someone who felt as insecure as I did, the word confidence felt like a cartoonish exaggeration because it was so far out of my comfort zone. And an even deeper reason for the aversion to confidence was that it seemed like something I could “get” or “achieve” or “become”. Trying to get somewhere from a place of trying to get something always kicks up my shame even more because it reinforces the feeling of not being enough. It wasn’t until I recognized in my heart the true meaning of confidence after putting myself out there again and again in my business. Not the meaning that younger parts of my childhood self had adopted. Not the meaning media or magazines or commercials portrayed. No, true confidence in business (and in any area) is an internal state. But more than that, it’s the place where everything that’s consistent, wise, clear and calm stems from within us. True confidence is connection to self. True confidence means letting go of putting faith in something outside myself. True confidence is already who I am. I don’t need to do anything to become more confident. It is already my true nature. To allow my true nature to shine through, all I need to do is remove the layers that are blocking that confidence. Which means letting go of what’s not working. The more that is stripped away, the more confidence naturally appears as my centered state. I must surrender to the place within myself that is that authenticity. Because true confidence is authenticity. is the only thing that is unclear about the real me. Not my strengths and gifts. Self doubt exists when I don’t trust me, the me that rests in truth. Real confidence comes from consistently practicing letting go of any doubt that I can gain confidence anywhere outside of the real me. This is why first and foremost I practice a spiritual foundation in my business. Because when I try to do things the other way, things get nutty...fast. Comparisons become like fast growing weeds. Fear of failure and rejection too. And what do you know, I’ve now psyched myself out and distracted myself from my calling when I take this path. Not because I’m not good enough, but because I’m listening to the voices that are substituting their own answers with faulty programming. Instead is the wise voice of the centered, confident, higher self. 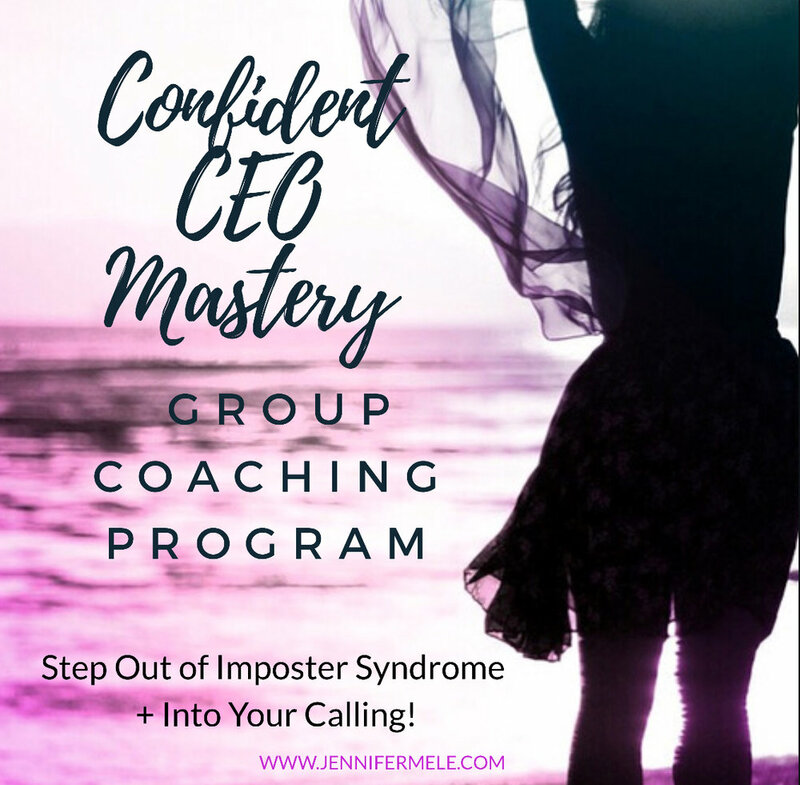 If you’d like support in deepening your connection to your inner confidence so you can step into your calling, check out my 4 week group coaching experience for women entrepreneurs ready to embody their true inner leader, click here!